Using bacteria to help restore works of art – microBEnet: the microbiology of the Built Environment network. 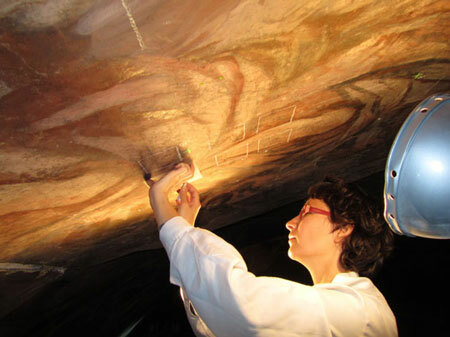 Next in my ongoing series of posts related to beneficial microbes in the built environment… using Pseudomonas to restore 17th century Italian frescoes. Apparently these particular frescoes were improperly restored in the 1960’s using some kind of gelatin glue that now causes salt crystals to grow on the art. Both chemical and mechanical removal methods are time-consuming and difficult with the former also leaving toxic byproducts. The bacteria go in, do their thing, and then die. Pretty neat.